Administrative Law Judge Peter Paul Castillo (ALJ), Office of Administrative Hearings (OAH), State of California, heard this matter in Palo Alto, California, on October 10 through 12, 2011. Palo Alto Unified School District (District) was represented by Laurie E. Reynolds, Attorney at Law. Either Dr. Damian Huertas, District’s Special Education Coordinator, or Anne Brown, District school principal, attended all portions of the hearing. Student was represented by Barbara Fielden and Elizabeth Fitch Aaronson, Attorneys at Law. Student’s Parents were present on all hearing days. 1 To maintain a clear record, the closing briefs have been marked as exhibits. Student’s brief has been marked as Exhibit S-18, and the District’s brief has been marked as Exhibit D-22. Did the District’s individualized education program (IEP) of November 22, 2010, and March 10, 2011, offer Student a free appropriate public education (FAPE) because the IEP was reasonably calculated to provide Student with meaningful educational benefit in the least restrictive environment (LRE)? As a proposed resolution, the District requests an order that its IEP of November 22, 2010, and March 10, 2011, provided Student with a FAPE and that it may implement its IEP offer without parental permission. The District contends that its IEP of November 22, 2010, and March 10, 2011 provides Student with a FAPE because the District can meet Student’s behavioral and academic needs without providing her with a one-to-one aide, and pushing resource support into the classroom, instead of the current pull-out resource support services. The District also argues that Student’s social skills are commensurate with her classmates and she is able to successfully resolve interpersonal disputes. Further, the District asserts that Student does not require counseling services as she does not have significant emotional or executive functioning deficits. The District argues that based on Student’s present levels of performance at the time of the IEP offers that Student no longer requires the intensive services in the previously implemented IEP of June 7, 2010. Student contends that she requires additional special education services and goals due to her executive functioning, and her behavioral and academic deficits, and she continues to require, at a minimum, the services in the June 7, 2010 IEP, especially the provision of a one-to-one aide. Student argues that in addition to the services in the June 7, 2010 IEP, she required additional resource academic support and mental health services to meet her unique needs. Student disputes the District’s contention that she had friends at school and interacted appropriately with classmates and school staff during SY 2010-2011. Additionally, Student asserts that the District’s behavior plan in the IEPs of November 22, 2010 and March 10, 2011, was not adequate as Student often would leave the class, as recommended in the behavior plan, and then miss class instruction. Instead, Student argues that the District should have had a plan that would prevent Student from leaving the class when frustrated. 1. Student is presently 9 years old and resides within the geographic boundaries of the District with her Parents. Student is eligible for special education services under the eligibility category of other health impaired. Student began to receive special education services at the start of second grade in the 2008-2009 school year (SY) when Parents enrolled her in the District. 2. 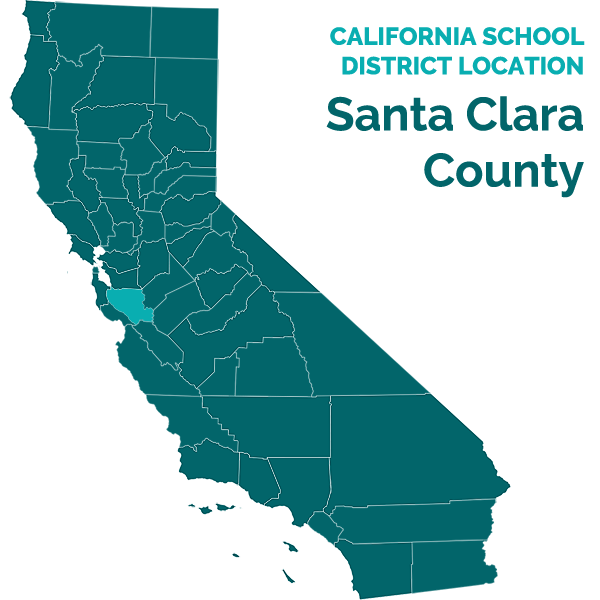 For kindergarten and first grade, Student attended a private school in Palo Alto, and Parents did not request that the District assess Student for special education eligibility. In February 2009, the private school requested that Student no longer attend due to her inattention in class, running out of class, and behavioral problems, especially aggression towards her classmates. Mother educated Student at home with lesson plans from the private school for the remainder of first grade. 3. In July 2009, Parents had the Children’s Health Council (CHC) assess Student. The CHC conducted a thorough neuropsychological assessment. The CHC report concluded that Student met the diagnostic criteria for anxiety disorder not otherwise specified, attention deficit hyperactivity disorder (ADHD) and pervasive developmental disorder not otherwise specified (PDD-NOS). The CHC found that Student had average cognitive ability and relative weakness with her expressive vocabulary and social language. Student displayed weakness as to her short-term memory and sequencing, but strength with verbal and visual reasoning skills. The CHC reported that Student is happy when properly regulated, but prone to emotional outbursts when frustrated either academically or socially due to her speech and language deficits. The CHC report contained detailed recommendations for Student’s educational program. The CHC assessors presented the report to Parents on August 11, 2009, and Parents did not inform the District that Student might require special education services until the start of SY 2009-2010. 4. At the start of SY 2009-2010, Parents contacted the District to enroll Student for second grade in a District school and asked the District to assess Student for special education eligibility. Parents signed the District assessment plan on August 31, 2009. The District relied primarily on the CHC assessment for its initial assessment. The District also conducted a speech and language evaluation and observed Student playing. On September 4, 2009, the District convened an IEP team meeting and found Student eligible for special education services. The District proposed a 30-day interim placement in a special day class (SDC) for 90 percent of the school day, with two behavior goals to improve Student’s attention and self-advocacy. Following this interim placement, the District would convene an IEP team to develop further goals and determine necessary special education services. 5. The parties met on November 3, 2009, to discuss Student’s progress and the District’s proposed behavior support plan. The parties agreed that Student would receive individual assistance from a behavior therapist to work on reducing her physical aggression and shutting down in class, such as refusing to follow directions or speak when frustrated or overwhelmed. The District agreed to provide Student with a one-to-one aide during recess. After the IEP team meeting, the District conducted an occupational therapy evaluation, which determined that she did not require any occupation therapy services. 6. The parties met on December 15, 2009, and February 3, 2010. At the December 15, 2009 IEP team meeting, the District proposed goals in the areas of behavior, social skills, expressive language, reading, math, writing and self-help. Parents did not consent to the implementation of these goals. At the February 3, 2010 IEP team meeting, the parties agreed to end the aide support during recess and to start mainstreaming Student with general education students for five hours a week with aide support. The IEP clarified that Student would receive individual behavior support twice a week, 30 minutes per session. 7. The IEP team met again on April 20, 2010, to discuss the transition from a SDC to a general education, third-grade classroom based on Student’s continued academic and behavioral improvement in the SDC and during mainstream opportunities. The proposed general education classroom was at Student’s home school. The District proposed providing Student with pull-out resource support, pull-out speech and language therapy, and push-in behavior support services through the start of November 2010. Then it would convene another IEP team meeting to discuss Student’s progress to determine possible changes to these services. The District did not propose any new goals at the April 20, 2010 IEP team meeting. Parents did not consent to the proposed IEP. 8. The District convened an IEP team meeting June 7, 2010. Parents consented to Student attending a general education class at her home school. The IEP is not clear as to the services Parents did or did not consent to, or the District’s offer. However, the parties agreed at hearing that at the start of SY 2010-2011 Student had a full time aide; received small group pull-out resource academic support from a resource specialist program (RSP) teacher; individual pull-out behavioral support twice a week, 30 minutes a session; and a weekly 30-minute, small group pull-out speech and language therapy. The District offered special services for the 2010 extended school year (ESY), but Student did not attend. 9. Student began third grade in the classroom of Tori Shaffer. Student had some difficulty with the transition to the new classroom, but by the time of the October 4, 2010 IEP team meeting, she participated more in class and played with classmates on the playground. Student’s aide worked with her on social skills and staying on task during class. If Student became frustrated or upset during class, Student, according to her behavior plan, would leave the class to calm down and re-enter the class, which she did independently, accompanied by her aide. Student did, at times, shut down in class and needed either the aide or teacher to redirect her, but these incidents were decreasing. 10. Student’s RSP teacher was Amy Sheward. As of October 4, 2010, Ms. Sheward typically worked with Student on incomplete assignments, which were usually incomplete not because Student had difficulty with the assignment, but because Student was not in class because she was receiving pull-out services, Student’s area of weakness in math was in reasoning and word problems, but she had strength with math computation. Student did not demonstrate difficulty with reading, but in writing she had difficulty because she was repetitive, using similar phrasing and sentence patterns. During the first month of SY 20102011, Student only had one incident in which she shut down in RSP, which occurred after Ms. Sheward attempted to correct a math error. However, Ms. Sheward was able to quickly re-engage Student and have her participate in the instruction. 11. Student’s behavior support specialist was Sally Kerr. As of October 4, 2010, Ms. Kerr was working with Student on going to a quiet spot when she felt overwhelmed, instead of shutting down or becoming aggressive. Ms. Kerr worked with Student on expressing her feelings, social skills, especially understanding non-verbal communication, and how to listen to others. On the playground, Student played independently with classmates, but still had trouble verbalizing her emotions when frustrated because she did not understand that she had to be more cooperative. Student did not demonstrate significant weakness with her speech and language skills when she worked with speech and language therapist, Sabrina Cheng. 12. As of the October 4, 2010 IEP team meeting, Student had successfully transitioned from the SDC to a general education placement due to the supports the District provided. Student progressed on her academics, due to District-designed strategies, which enabled her to calm herself and refocus when she became frustrated or overwhelmed, instead of shutting down or becoming upset. At the end of the IEP team meeting, the parties agreed that the District would conduct a speech and language, and educational and behavioral assessments to assist them in developing an IEP for the remainder of the school year. 13. Ms. Cheng assessed Student in October 2010. Ms. Cheng has a bachelor’s degree in psychology and a master’s degree in speech and language pathology. Ms. Cheng also possesses a certificate of clinical competency from the American Speech-Language-Hearing Association, has a California speech and language pathology license, and a clinical rehabilitation credential. She has been a school district speech and language therapist for eight years, the last six with District. Ms. Cheng was qualified to conduct the speech and language assessment based on her training, education and experience. 14. Ms. Cheng’s assessment focused on Student’s pragmatic language due to parental concerns about her use and knowledge of social language. For the assessment, Ms. Cheng reviewed the 2009 CHC and District speech and language assessments. She administered the Social Language Development Test-Elementary (SLDT-E) and completed a pragmatic language profile checklist from the Clinical Evaluation of Language Fundamentals-Fourth Edition (CELF-4). Ms. Cheng informally assessed Student’s speech articulation and fluency, and voice quality. Ms. Cheng observed Student twice during recess. 15. CHC administered the complete CELF-4. The CHC assessment established that Student had average receptive language skills and low average expressive language skills. Student’s performance during second grade and the start of third grade corroborated the CHC assessment findings as Student understood what was spoken to her, but had trouble expressing herself. In third grade, while Student displayed weakness with her expressive language, her ability to communicate with her classmates and District personnel improved so that her frustration in not being able to communicate significantly lessened. 16. Student’s speech articulation, fluency and voice quality were within normal limits based on Ms. Chen’s observations. The playground observations confirmed Student’s ability to interact appropriately with her classmates, such as turn-taking in a chasing game. During another observation, Student was sitting alone with her aide nearby and told Ms. Cheng that she did not feel like playing with others because she had a bad night. However, she did not appear upset. 17. The SLDT-E is a normed reference test that assesses a student’s ability to take another person’s perspective, make the correct inference, negotiate peer conflict, and demonstrate flexibility in interpreting situations and the support of friends. Ms. Cheng administered the SLDT-E based on Student’s past problems with social language and properly initiating and maintaining social contact with her classmates. Student scored in the average to above average level in all areas, except on the subtest measuring her ability to express someone else’s thoughts and justifying her problem solution. Student had a slightly below average standard score of 84, with 100 being the median score. Student’s performance on the SLDT-E was reflective of her slight expressive language deficits. 18. Ms. Cheng gave the CELF-IV questionnaires to Ms. Shaffer, Student’s aide, Ms. Sheward, Ms. Kerr and the school principal, Anne Brown. The checklist results showed that Student’s social and pragmatic language skills were below what one would expect from a third grade student. Student had difficulty related to her expressive language deficit in asking for, giving and responding to information, such as asking for clarification. Student demonstrated the ability to communicate non-verbally, but still had the problem of shutting down in class or with her peers when frustrated or overwhelmed due to her difficulty in asking for help or expressing her feelings. 19. Ms. Cheng’s assessment appropriately determined that Student had slight deficits with her social language in her ability to express herself when upset, asking for assistance, and understanding the perspective of others. Ms. Cheng’s assessment was corroborated by numerous District personnel, such as Ms. Shaffer, Ms. Sheward and Ms. Kerr, who all had frequent contact with Student. Student did not present credible evidence to show that Ms. Cheng’s assessment findings were inaccurate. Therefore, Ms. Cheng’s assessment established that Student had made significant progress as to her speech and language deficits from when she entered the District, and her social language skills were nearly commensurate with a typical third-grade student. 20. At nearly every IEP team meeting, Parents expressed concerns about Student’s lack of academic progress and need for academic goals during her entire educational tenure with the District. The District disagreed with Parents’ assertion. At the October 2010 IEP team meeting, the parties agreed to an educational assessment to get an accurate gauge as to Student’s academic performance and progress since the 2009 CHC assessment. 21. Ms. Sheward performed the educational assessment in November 2010. Ms. Sheward has a bachelor’s degree in early childhood education and a master’s degree in special education. Ms. Sheward possesses multi-subject, severally handicapped, reading specialist and RSP credentials. Ms. Sheward has been a RSP teacher with the District for the past three years, and was previously a special education teacher for ten years in other school districts. Ms. Sheward administered the Wechsler Individual Achievement Test-Third Edition (WIAT-III). Ms. Sheward followed the WIAT-III test protocols, and administered the WIAT-III over five days to prevent fatigue. Student cooperated during the testing process and did not exhibit signs of frustration or shutting down during the testing. 22. On the WIAT-III, Student scored in the average to above average range in all areas, which included listening comprehension, reading, math, spelling and writing. Student’s academic abilities were corroborated by her performance in Ms. Shaffer’s class and during her pull-out RSP sessions. Student demonstrated academic skills typical for a third-grade student in all areas, such as reading, writing, and math. Student’s difficulty in class occurred when she became frustrated or overwhelmed during instruction or performing classwork, and not any academic deficit. Also, the 2009 CHC assessment found Student’s academic problems related more to her behavioral deficits rather than a learning disorder. 23. Student attempted to discredit the District’s assessment results, but did not present sufficient, persuasive evidence that would do so. Although Student received math tutoring during third grade, the testimony of Student’s math tutor, Elisa Tejada, was not sufficient to establish that Student’s math progress was the result of the individual tutoring rather than the District improving her in-class behaviors and increasing her ability to remain on-task so she could benefit for her classroom instruction. Ms. Shaffer and Ms. Sheward were more persuasive in establishing that Student’s classroom performance had improved so she could benefit from the classroom instruction and progress. Student’s expert, John T. Brentar, Ph.D., 2 stated that the WIAT-III should be given in one day, and no more than two days, but he did not opine that the results the District obtained were not accurate reflections of Student’s academic abilities. 2 Dr. Brentar did not conduct any formal testing on Student. Dr. Brentar’s October 2011 report, which included his recommendations, was based on his on September 14, 2011 observation, three meetings with Student, and information from Parents. 24. Ms. Kerr developed a behavior support plan (BSP) in October 2010 based on her observations of Student, working with her, and information from Ms. Shaffer and Student’s aide. The BSP focused on Student’s feelings of frustration, or being overwhelmed, during classroom instruction, especially during math, which caused Student to shut down. At this time, Student demonstrated the ability to recognize when she was frustrated or overwhelmed and needed to take a break from of the classroom. While the evidence was not clear as to how often Student would leave the class, Student’s absences were not a daily occurrence, or more than a few minutes long when they did occur, and did not disrupt her ability to access the curriculum and make adequate academic progress. 25. Ms. Kerr’s BSP appropriately determined that the District needed to work with Student on strategies to enable her to recognize when she was becoming stressed, to seek assistance, and then alleviate negative feelings that might arise as a result. The BSP also addressed Student becoming distracted by people and noise with strategies, such as using a noise-dampening headphone. The BSP contained appropriate strategies for Student’s teacher to use to keep Student focused, and to recognize and provide accommodations when Student exhibited signs of stress. The BSP also contained instructional strategies to prevent Student from becoming overwhelmed. 26. Student attempted to demonstrate that she had much more significant behavior problems at school, such as running away from class, constantly leaving the classroom, arguments with classmates and her aide, and inability to remain focused in class. However, Student’s evidence related primarily to her behaviors at home, in which she did not want to complete homework and expressed extreme frustration with school. Student did not demonstrate serious behavior problems at school, as for the most part she got along with her classmates, and her play with others was typical for a third grade student, which occasionally includes conflict. Ms. Shaffer or the aide easily redirected Student when she was not paying attention or needed help to start her classwork. It did not appear that Parents used the strategies the District employed to decrease Student’s frustration and feelings of being overwhelmed, although the District explained these strategies at IEP meetings. 27. The District demonstrated the appropriateness of Ms. Kerr’s October 2010 BSP, and the findings in the BSP as to Student’s present levels of maladaptive behavior and social-emotional deficits. The BSP included appropriate strategies to address these deficits. 28. School districts are required to have an IEP in place for each eligible child at the beginning of each school year. An IEP must be reviewed at least annually to determine whether the annual goals are being met. At that time, the school district must appropriately revise the IEP to address any lack of expected progress, new assessments, information provided by parents, the child’s anticipated needs, or any other matter. A school district provides a FAPE to a student if its program or placement is designed to address the student’s unique educational needs, and is reasonably calculated to provide meaningful educational benefit in the LRE. 29. The November 22, 2010 IEP team meeting was attended by Parents, Ms. Shaffer, Ms. Sheward, Ms. Cheng, Ms. Brown, Damian Huertas, District’s Special Education Coordinator, and the attorneys for the District and Student. Ms. Cheng, Ms. Sheward and Ms. Kerr presented their assessment reports and Student’s present levels of performance. At that IEP team meeting, Parents presented an October 28, 2010 central auditory processing disorder evaluation, conducted by Judith M. Paton, M.A. 30. Ms. Shaffer reported on Student’s academic performance. Student made expected progress for third grade students in spelling, reading and writing based on her classroom progress and curriculum based tests. In the area of math, Ms. Shaffer reported that on recent testing Student got 97 percent correct responses when tested on numbers and number sequences, and 74 percent on number fact families. The latter results were due to careless errors. Student had difficulty on a timed test on addition and subtraction. She completed 27 and 12 out of 50, respectively, which were all correct answers. Student demonstrated knowledge of third grade addition and subtraction skills, but had difficulty completing a timed test. Part of Student’s problem with math is explained by the fact that she missed math instruction because she received pull-out speech and language and RSP during Ms. Shaffer’s math instruction. 31. The District’s IEP proposal of November 22, 2010, contained four behavior and two social skills goals. The District proposed continuation of the once-a-week small group speech and language sessions. The IEP proposed a reduction in behavior intervention services to a weekly thirty minute, push-in session. For RSP services, the District proposed to change the two weekly sessions to push-in. The District recommended eliminating Student’s one-to-one aide. As accommodations, the District proposed that Student have extended time and breaks during testing, and continuation of the behavior accommodations for Student to leave the classroom to calm down when feeling frustrated or overwhelmed. Finally, the District did not offer ESY services. Parents did not consent to the proposed IEP. The IEP team agreed to reconvene the meeting in either January or February 2011 after further observation of Student’s progress. 32. The IEP team reconvened on March 10, 2011, with the same attendees as the November 22, 2010 IEP team meeting. The District presented additional information as to Student’s progress. Student continued to perform at grade level in all academic subjects, and her episodes of shutting-down or excusing herself from the classroom continued to decrease to a level that Ms. Shaffer did not notice any significant difference between Student and her classmates. Student’s ability to successfully handle typical third-grade interpersonal disputes improved, due to the services provided by Ms. Cheng and Ms. Kerr. The District made minor changes to the goals proposed on November 22, 2010, but did not agree with the Parents’ request for additional goals in the areas of reading and math. The District also considered Parents other IEP requests, such as regular meetings, and appropriately determined that they need not be included in the IEP for Student to make meaningful educational progress. 33. The District renewed its November 2010 IEP offer as to RSP, speech and language, and behavioral services, with no aide services. The District did not agree with Parents’ request for counseling or mental health services. Parents did not consent to the IEP. Student’s challenge to the District’s proposed IEP was that it did not meet her unique needs, as set forth in the 2009 CHC assessment and their perception of her school performance. 34. The District’s four proposed behavior goals are derived from Ms. Kerr’s behavior assessment and BSP. The first proposed goal was for Student to take self-selected breaks instead of shutting down. The second proposed goal was for Student to use conflict resolution strategies with her classmates during recess periods. The third goal was for Student to initiate asking for help on academic subjects. The final goal was for Student to use words to express her feelings when upset instead of shutting-down or using negative language. Ms. Kerr established the appropriateness of these goals based on her work with Student and the progress that Student had made in the classroom in staying focused on instruction, using the self-selected breaks, and improving social interaction with her peers, which was corroborated by Ms. Shaffer’s observations in and out of the classroom. 35. Student did not challenge the appropriateness of the four proposed behavior goals, other than attempting to show that Student left the classroom too often during the selfdirected breaks so that she lost too much instructional time. However, Student did not present persuasive evidence to establish this contention, or to contradict Ms. Shaffer’s testimony that Student’s self-directed breaks were infrequent and not disruptive to her accessing the curriculum. Student’s fourth grade teacher, Matthew Linder, corroborated Ms. Shaffer’s testimony as Student, in SY 2011-2012, continues to use the self-directed breaks as a strategy when frustrated or overwhelmed, and her use of these breaks is infrequent and not disruptive to his class. Student attempted to show that the District failed to consider Student’s diagnosis of anxiety, ADHD, and PDD-NOS when it proposed the behavior goals, but this is the wrong analysis. While Student focused on her diagnoses in challenging the proposed goals, she ignored the fact that the District appropriately considered her actual behaviors. 36. Student’s expert, Dr. Brentar, provided no testimony that the District’s proposed behavior goals were inappropriate, or that Student required any additional behavior goals. During his September 2011 observation, Dr. Brentar noted that Student appeared to be lost during instruction. When he subsequently asked her why she did not ask Mr. Linder for assistance, Student said that she did not want to bother him. Dr. Brentar’s observation supports the District’s position that it needs to work with Student on self-advocacy and the appropriateness of asking questions when needed. Dr. Brentar’s recommendation that Student have an independence goal was addressed in the District’s goal that Student ask for help when stuck instead of just waiting for help. Additionally, Dr. Brentar’s report recommendations, such as monitoring and encouraging Student, requiring her to participate in group instruction, and having classroom personnel check-in with her to make sure that she understands classwork instructions, are built into the District’s proposed behavior goals. 37. Student inappropriately challenged the District’s proposed behavior goals by focusing on her diagnoses, and not the resultant behaviors that occurred at school. The District established the appropriateness of the behavioral goals through the testimony of Ms. Shaffer, Ms. Kerr, Ms. Sheward, and Ms. Cheng. This testimony demonstrated Student’s present level of performance regarding her behavior at the time of the November 2010 and March 2011 IEP team meetings, and that the District’s proposed behavior goals were reasonably calculated to provide Student with meaningful educational benefit. 38. The District developed two social skills goals based on Student’s social skills and pragmatic language deficits that were evidenced during her speech and language, and behavior intervention sessions, and during class and recess. One social skills goal proposed by the District was for Student to role-play cause and affect problem-solving techniques in situations involving sarcasm, friendly versus mean teasing, and making choices. The other proposed social skills goal was for Student, during role-playing activities, to identify the feelings and perspective of others. 39. The District developed these social skills goals based on accurate present levels of performance regarding Student’s social skills and speech and language deficits based on information from Ms. Shaffer, Ms. Cheng, Ms. Kerr, and Ms. Sheward. Student attempted to show that her social skills and speech and language deficits were more significant, based on information from Parents as to Student’s lack of friends outside of school, and information that Student relayed to Parents about her school day. However, Ms. Shaffer, Ms. Cheng, Ms. Kerr, and Ms. Sheward were more convincing based on the frequency of their observations of Student at school, and their demeanor while testifying. Their testimony established that while Student had social skills and speech and language deficits, these deficits were not significant, as demonstrated by her ability to develop and maintain friendships at school, and to work through typical third grade social situations. 40. Furthermore, Dr. Brentar noted that during his observation of Student at recess, she played with her classmates and had a good time. While Dr. Brentar’s observation was several months after the March 2010 IEP team meeting, it corroborated the District’s position as to Student’s social skills and speech and language deficits. Furthermore, Dr. Brentar corroborated Mr. Linder as to Student’s present levels of performance at the start of SY 2011-2012 that she played and got along well with her classmates. 41. The District demonstrated the appropriateness of the two social skills goals that met Student’s unique needs in the areas of social skills and speech and language deficits. Student’s evidence that she had significant deficits, or that she required any different or additional goals was not persuasive. As with the behavior goals, Student attempted to challenge the District’s goals based on her diagnoses in the 2009 CHC assessment prior to receiving any special education services. Accordingly, the District’s proposed social skills goals were reasonably calculated to provide Student with meaningful educational benefit. 42. The District did not develop academic goals for Student because it contended that Student was working at grade level, and any deficits she had were the result of her behavior. Student again attempted to rely on the 2009 CHC report to demonstrate academic deficits that needed to be addressed by developing academic goals. However, she failed to acknowledge that any academic deficits existing in August 2009 were due to lack of progress caused by her not receiving special education services while attending private school, and the resultant behaviors negatively impacting her ability to access the curriculum. 43. In Ms. Shaffer’s classroom, the District established that Student’s academic performance was at grade level based on her classroom performance as evidenced by her report cards. The District established that Student’s report card accurately represented her present levels of performance in all academic areas. While Student did have some difficulty understanding her class assignments and instruction at times, these problems were the result of her behavior deficits when she was overwhelmed by too much information and frustrated when she did not understand the instruction or material. The District appropriately addressed this difficulty in its behavior goals. Additionally, Student demonstrated mastery of academic subjects during RSP services, and her results on the California Standardized Testing and Reporting (STAR) testing and curriculum based testing, as she was found “proficient” in both math, her weakest academic area, and English language arts. 44. Student attempted to demonstrate that she required academic goals based on her difficulties in completing homework assignments and her need for math tutoring. As to homework, while Student may have been resistant to completing homework for her Parents, she successfully completed classwork with the IEP accommodation of additional time. Regarding tutoring assistance being the cause of Student’s math success, Ms. Tejada could not provide persuasive evidence that her work with Student was necessary for her to make meaningful educational progress in math. 45. Student entered the District academically behind her second grade peers due to her significant behavior problems during kindergarten and first grade, despite the CHC’s assessment that noted Student having average cognitive abilities. The District’s special education services permitted Student to catch up academically with her peers. Student did not present credible evidence that showed she required academic goals. Dr. Brentar gave no opinion as to whether Student required academic goals. Therefore, the District established that Student did not require academic goals to receive a meaningful educational benefit. 46. The District’s proposed IEP had the same level of RSP services: two times a week, 30 minutes a session, but proposed to push this service into Student’s classroom, instead of pulling her out to Ms. Sheward’s RSP classroom. Student asserted that due to her academic deficits, and behavioral and attention deficits that interfered with her ability to access the curriculum during classroom instruction, she required three hours a week of pullout RSP services. 47. As noted in the discussion of academic goals, Student performed academically as well as her third-grade classmates. Ms. Sheward was convincing that she could provide Student with better academic support in Student’s classroom than she could with pull-out services because Student would then not miss classroom instruction. The District’s position that Student’s academic performance was at grade level was supported by Student’s report card, standardized test scores, curriculum based testing, and performance on in-class tests. 48. While Dr. Brentar was concerned about Student’s attention problems, Student could not explain why Ms. Sheward, working with Student in the class, would not be able to keep Student focused. Additionally, Dr. Brentar did not support his contention that Student required either pull-out RSP services or additional RSP services because he did not have information that Student was academically behind, or not making meaningful educational progress that would require added academic support. 49. Student attempted to demonstrate that she had auditory processing deficits that made it hard for her to access the classroom instruction in the general education classroom, and therefore required individualized instruction. Student’s expert, Judith W. Paton, described the audiological testing she conducted, Student’s auditory processing deficits, and how these deficits could manifest in the classroom. However, Ms. Paton did not observe Student in her classroom to confirm whether Student’s auditory processing deficits did in fact prevent Student from accessing her curriculum. Additionally, Ms. Paton did not have information from Student’s teacher and District personnel to enable her to determine whether Student’s auditory processing deficit significantly impeded Student’s classroom performance. Student’s reliance on Ms. Paton’s assessment to show that she required additional individualized support was based simply on the mistaken belief that the existence of an auditory processing deficit would automatically necessitate the need for additional individualized support. 50. The District demonstrated that Student was performing well academically and the classroom instruction that she missed during pull-out services was hindering her academic progress. Additionally, the District established that it could meet Student’s academic needs with push-in RSP services. Student did not show that she had significant academic, behavior and attention deficits that required additional individualized academic support. Accordingly, the District demonstrated that its offer of RSP services was reasonably calculated to permit Student to receive a meaningful educational benefit. 51. The District proposed that Ms. Kerr provide Student with push-in behavioral services once a week for thirty minutes. The District demonstrated that this level of support was appropriate for Student, based on the present levels of her performance regarding behavior, and based on Ms. Kerr’s behavior assessment, Student’s performance during the behavior sessions, and information from Ms. Shaffer as to Student’s classroom performance. Also, Student demonstrated her progress with improved behavior in her interaction with classmates during recess. 52. Student’s challenge to the District’s proposed behavior services was not the level of support that Ms. Kerr would provide, but that Student needed assistance with her executive functioning deficits. Dr. Brentar described these deficits as preventing Student from planning what steps to take in completing classwork, and how to organize, prioritize and articulate what is expected of her. Dr. Brentar opined that Student had significant executive functioning deficits and required cognitive behavior therapy. 53. However, Dr. Brentar’s opinion as to Student’s level of executive functioning deficit was not credible because he did not explain why the 2009 CHC assessment did not find that Student had significant executive functioning deficits. The CHC assessment examined Student’s executive functioning by administering the Children’s Category Test-I and NEPSY-II.3 The CHC assessment noted Student had executive functioning deficits the more complex tasks became. However, at the time of the CHC assessment, Student had not received any special education services designed to improve her behavior in class and to help her to perform executive functioning tasks. Further, because Dr. Brentar did not conduct any formal testing of Student’s executive functioning, his opinion in this regard was not considered to be significant. Therefore, Student did not demonstrate that she had significant executive function deficits that the District failed to address. Further, District personnel, including Student’s teacher and behaviorist could meet any of Student’s needs for assistance in the area of executive functioning based on Dr. Brentar recommendations. 54. The District proposed a level of behavioral services based on Student’s progress with services provided by Ms. Kerr, and her performance in class and on the playground. The District demonstrated with accuracy the extent of Student’s behavioral and executive functioning deficits, and her present levels of performance. Student’s evidence as to her deficits in these areas was not persuasive. Therefore, the District established that its level of behavioral services was appropriate and Student did not require additional services to address her executive functioning deficits. 3 NEPSY is not an acronym. 55. The District offered to continue the same level of speech and language services: small group pull-out once a week for 30 minutes. Student challenged the District’s offer because the 30-minute session needed to be delivered on the playground during recess. Student contended that the only way she could learn the social skills in the IEP goals was through this method. 56. However, the District demonstrated Student’s significant progress with her social skills and social language with the pull-out speech and language services that Ms. Cheng provided. The District established that Student improved in her ability to interact appropriately with her classmates on the playground, and in handling peer conflict. Additionally, the District provided other avenues for Student to work on social skills in groups like the ‘lunch bunch,’ in which Ms. Kerr had Student work with other students on social skills and conflict resolution skills during lunch. The fact that Student did not agree with the District’s methods, such as teaching children that sometimes they had to take a break from each other, did not invalidate the District’s methods of teaching Student social skills, nor did Student disprove that she made significant improvement. 57. The District established that Student’s disagreement with the District’s proposed service model focused on methodology. Student did not present adequate evidence to establish that she required speech and language services delivered on the playground to counter Ms. Cheng, who established Student progress and her present levels of performance. Accordingly, the District’s offer of speech and language was reasonably calculated to permit Student to obtain a meaningful educational benefit and provide her with a FAPE. 58. The District’s proposed IEP did not offer Student mental health services, such as counseling or therapy, because the District did not find that Student had emotional deficits that required mental health services. Student asserted that she required mental health services based on the severity of her emotional and executive functioning deficits. 59. The District and Student painted two different pictures of Student at school. The District contended that Student presented as a typical third-grade student, who liked school and got along well with District personnel and her classmates. Student asserted that she was miserable at school, had no friends, and executive functioning deficits hindered her ability to cope, and she had shown only slight improvement as to her emotional deficits from the time of the 2009 CHC assessment. 60. As previously discussed, Student’s contentions that the District’s IEP offer was not adequate inappropriately focused on the diagnoses in the CHC assessment. This created a presumption that she had more significant emotional problems than the District contended. Further, Student’s reliance on the problems that she had at home belied the fact that she did not have these emotional issues at school. Student demonstrated her executive functioning skills, such as action planning and acting on this plan, by using the conflict resolution skills that Ms. Kerr taught her, such as one time telling a classmate that the conflict that classmate had with another student was caused by the classmate ‘taking the bait.’ Also, Student was able to independently determine when she needed to take a break in class when feeling overwhelmed or frustrated, leave the class and return, which demonstrates executive functioning skills to plan and act on her plan of action. 61. While Student had problems with classmates from time to time, and sometimes felt “down,” she was no different from other third-grade students, and able to resolve conflicts and get over feelings of sadness or being upset. Dr. Brentar’s opinion that Student required mental health services was not persuasive because he relied too much on old information on the CHC report, downplayed information that Mr. Linder told him as to Student’s emotional well being, and did not have any current assessment information to provide a credible opinion that Student required mental health services. 62. The District appropriately determined that Student did not require mental health services because she did not have significant emotional or executive functioning deficits that would require therapy or counseling services. Student relied on problems she had at home, and a presumption that her anxiety, ADHD and PDD-NOS diagnoses warranted the provision of mental health services, but did not establish that she required mental health services to make meaningful educational progress and obtain a FAPE. 64. The District provided Student with a one-to-one aide for her transition from the second grade SDC to the third grade general education class, and Student continues to receive this aide service. The District proposed to remove the one-to-one aide because the District contends that Student does not have behavioral or attention deficits that necessitate the provision of a one-to-one aide and because its IEP offer is the LRE since providing a one-to-one aide is more restrictive because she does not require an aide. Student contends that she requires this aide service because of the level of her deficits. 4 Neither the District nor Student made any argument concerning the cost of Student’s aide, so that subject is not addressed here. 65. The District established that Student is able to maintain focus in class and when Student does lose focus, her teacher is able to redirect her. Both Ms. Shaffer and Mr. Linder were convincing as to Student’s ability to attend in class without the need for aide support based on their work with Student. Additionally, Ms. Cheng and Ms. Kerr established that Student did not need an aide during unstructured time as she was capable of making friends, initiating social contact, and resolving conflicts by herself. Finally, Dr. Brentar did not believe that Student required a one-to-one aide. Therefore, the District established that Student does not require an aide to gain educational benefit. 66. Regarding non-academic benefits, the District established that Student did not require the aide because she was able to make and maintain friendships at school and properly handle interpersonal disputes without the need for an aide. Student did not disrupt the class. She was capable of leaving the classroom and taking a brief break when she felt frustrated or upset, and did not demonstrate any disruptive behaviors in or out of class that required the assistance of an aide. 67. The District demonstrated that Student did not require a one-to-one aide because her behavior and attention deficits were not so significant as to require a one-to-one aide to help her attend in class, and to ensure that she appropriately interacted with her classmates during unstructured settings. Further, Student’s own expert did not believe that Student required a one-to-one aide. Accordingly, the District was not required to provide Student with a one-to-one aide to offer her a FAPE and the District established that LRE for Student is its IEP offer because Student does not require an aide. 68. The District’s only proposed accommodation in the IEPs of November 2010 and March 2011, was for Student to get extended time and breaks for tests. The District did implement another accommodation for Student that was not listed on the IEP, which was preferential seating in the front of Ms. Shaffer’s and Mr. Linder’s classes. Because Student will not have an aide, this preferential seating is important so that the teacher can monitor her and provide assistance when needed. Additionally, preferential seating will assist Student to better attend to class instruction given her auditory processing deficit. 69. Ms. Paton recommended an FM amplification system to assist Student’s focus on classroom instruction that might get lost with extraneous classroom sounds that Student had difficulty filtering out due to her auditory processing disorder. The District at Student’s school began installing FM amplification systems in classrooms to benefit all students to better hear the classroom instruction. The District installed the FM system in Ms. Shaffer’s classroom in the latter half of SY 2010-2011, and Mr. Linder’s classroom has the system. While the FM system will benefit Student, along with her classmates, Student presented insufficient evidence that she required an FM amplification system as an accommodation due to her auditory processing disorder to receive a FAPE. The evidence established that she made progress in Ms. Shaffer’s class before the installation of the system. 70. Accordingly, the District, except for preferential seating, set forth adequate accommodations and modifications in its proposed IEP for Student, based on her unique needs, and her present levels of performance. Student did not present sufficient evidence to demonstrate that she required further accommodations or modifications. Therefore, the District’s offer of accommodations and modifications was reasonably calculated to permit Student to receive a FAPE. 71. A student requires ESY services when, due to the student’s disability that the lengthy break in instruction and interruption of the educational programming may cause regression, when coupled with the student’s limited recoupment capacity. This renders it impossible or unlikely that the student will attain the level of self-sufficiency and independence that would otherwise be expected in view of his or her handicapping condition. The parties disputed whether Student required ESY services due to their differing views of the severity of Student’s academic, attention, behavioral, and executive functioning deficits. 72. The District established that Student did not require ESY because she was performing grade-level work and her deficits were not so severe that she was expected to regress significantly during the 2011 ESY. Mr. Linder provided convincing testimony that Student, at the start of SY 2011-2012, did not require any special academic assistance due to regression, and performed at grade level during the first month-and-a-half of school based on curriculum testing and classroom performance. Student did not produce sufficient evidence to disprove the District’s contention. Accordingly, Student did not require ESY services to prevent regression during the summer vacation. 73. In conclusion, the District established the appropriateness of the November 22, 2010 and March 10, 2011 IEP offers based on evidence from Student’s teachers and service providers as to her present levels of performance, and the progress she had made in the general education classroom. The District properly determined that Student did not require more goals than it offered, that RSP and behavioral services should be pushed into Student’s class, and that speech and language services need not be provided during recess. Further, Student did not have social, emotional or executive functioning deficits that required therapy or counseling. Finally, Student did not require the services of a one-to-one aide. Student’s evidence of her attention, behavioral, academic and executive deficits relied too much on the 2009 CHC assessment, which was done when Student had not received special education services, and the argument that Student’s diagnoses necessitated additional goals and services. Therefore, the District established that its November 22, 2010 and March 10, 2011 IEP offered Student a FAPE, and was reasonably calculated to provide Student with meaningful educational benefit in the LRE. 5 All subsequent references to the Code of Federal Regulations are to the 2006 version. 13. Federal and state law require a school district to provide special education in the LRE. A special education student must be educated with nondisabled peers “to the maximum extent appropriate,” and may be removed from the general education environment only when the nature or severity of the student’s disabilities is such that education in general education classes with the use of supplementary aids and services “cannot be achieved satisfactorily.” (20 U.S.C. § 1412(a)(5)(A); 34 C.F.R. § 300.114(a)(2)(ii).) In light of this preference, and in order to determine whether a child can be placed in a general education setting, the Ninth Circuit, in Sacramento City Unified Sch. Dist. v. Rachel H. (1994) 14 F.3d 1398, 1403, adopted a balancing test that requires the consideration of four factors: (1) the educational benefits of placement full-time in a less restrictive class; (2) the non-academic benefits of such placement; (3) the effect the student would have on the teacher and children in the less restrictive class; and (4) the costs of mainstreaming the student. Was the IEP of November 22, 2010 and March 10, 2011, reasonably calculated to provide Student with meaningful educational progress in the LRE? 16. As to Student’s goals, pursuant to Factual Findings 9 through 19, 24 through 27, 31, 32 and 34 through 41 and Legal Conclusions 1 through 11, the District developed appropriate goals for Student in the areas of behavior and social skills. Ms. Kerr and Ms. Cheng developed appropriate goals based on accurate information from their assessments, working with Student, and information from Ms. Shaffer. The District established that Student did not have deficits as significant as she contended, and did not require academic goals, based on her classroom performance. (Factual Findings 21, 22, 23, and 42 through 45, and Legal Conclusions 1 through 11.) Student’s reliance on the 2009 CHC assessment report was misplaced as Student focused on developing goals based on her diagnoses, and not her actual present levels of performance. Additionally, Student failed to acknowledge that the CHC report reflected Student’s performance after attending kindergarten and first grade without receiving special education services, and not being in school for several months. Accordingly, the District IEP’s goals were reasonably calculated to permit Student to obtain a meaningful educational benefit. 17. As to the related services in the IEPs, the District’s offer was appropriate to address Student’s unique needs. Student’s academic deficits were not so significant as to require up to three hours a week of RSP services. (Factual Findings 21, 22, 23 and 42 through 45 and Legal Conclusions 1 through 11.) Additionally, Student needs did not require the District to provide pull-out RSP service as Ms. Sheward, Ms. Shaffer and Mr. Linder established that Student’s academic skills were at grade level and that Student was harmed more by being pulled out of class due to the missed instruction. (Factual Findings 21, 22, 23 and 46 through 50 and Legal Conclusions 1 through 11.) The District demonstrated that Student did not require speech and language services to be administered at recess as she was making meaningful progress with the existing pull-out speech and language services. (Factual Findings 13 through 19, 55, 56 and 57 and Legal Conclusions 1 through 11.) Additionally, the District established that the offered behavioral services were sufficient to meet Student’s unique needs, and she did not require mental health services because she did not have serious social or emotion problems at school. (Factual Findings 58 through 62 and Legal Conclusions 1 through 12.) Finally, the District proved that Student no longer required a one-on-one aide as of the time of the IEP offers because she could stay ontask without the assistance of the aide, did not display behavioral outbursts that required the assistance of an aide and was capable of initiating social contact with classmates and resolving disputes. (Factual Findings 63 through 67 and Legal Conclusions 1 through 12.) Accordingly, the District’s offer of services was an offer of a FAPE. The District’s IEP of November 22, 2010 and March 10, 2011 offered Student a FAPE in the LRE, except that the District needs to list preferential seating as an accommodation on the IEP. The District may implement its IEP offer without parental permission if Parents wish Student to receive special education and related services. Education Code section 56507, subdivision (d), requires that the hearing decision indicate the extent to which each party has prevailed on each issue heard and decided. The District prevailed on the sole issue for hearing.